It is hard to stop drawing and designing quilts using Mexican tiles. I have been researching vintage Malibu Tiles, a tile manufacturer that is actually still around. The style of Spanish revival tiles from the early 1920's have a bit of a modern art deco feel to them, and then some are just off the map. I am finding my way to developing a color palate which used the glaze colors which were typical for this style of southern California art tiles. I admit I can't stop. There are just too many possibilities. Here are a few I came up with tonight. The problem I see with them is that they are lot of applique, and who would want to take on that kind of work? Yet how can I pare them down to greater simplicity and still maintain the style? I am working on that. I found a quilt book by a wonderful designer who used Talavera (a Mexican style of pottery and tile) designs to create very modern looking quilt designs. They are lovely and much simpler than what I have created, but they lack the traditional feel that I love about these designs. This quilt is called California and mixes that sunny feel of the Southwest with a stained glass look drawn from the black-outlined circles. I remember the Spanish Missions in California when I visited as a child and they had this look and feel. It is made of 2 alternating blocks with a slim black sashing between them. The blocks 8" squares in a 5 x 5 setting, but any odd number of rows would work out with this pattern. I really like these blocks and found that I could make dozens of combinations with them. Alter the colorway and they really created all kinds of moods. I get such a kick out of designing those twining border blocks. I know I have earned several years in purgatory for that, but they just intrigue me, and seem to go with the tile designs. This has been so much fun. I almost hate to admit I have designed more than 100. . . er, ok. . .200 designs with the more than 60. . . er, ok. . . 100 tile designs I have drawn. If you have not joined up with my FREE block of the month yet, go get the February block while it is still available. The January block is for sale on my website if you missed it. March 1 will be a new block, and those who get my newsletter will also get a bonus block pattern for free and will receive the setting blocks and instructions for the Fiesta de Flores BOM. 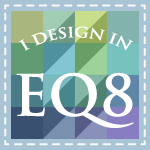 You can sign up for my newsletter in the left sidebar. First I want to thank you for these Beautiful free patterns you provide! I love applique and even enjoy working it by hand. If you wanted to simplify the block without changing the design elements, perhaps you could stencil some of them using fabric paints? I could see this working very well in the "orange blossom"- the orange flowers and the green leaves; even the darkest outlines of this tile. Quilting in the outlines of the shapes would accent them and give them a nice dimension. Those tile patterns are amazing! I love the "california" quilt. I live in the sunny state and yes, the orange blossom is perfect! Perhaps if you made the blocks 12" finished squares the appliques would be more manageable? I'm (slowly) following along with your Fiesta de la Flores right now :-) Thanks for the blocks and the inspiration!! I have always loved tiles and these are beautiful. Thanks for showing them to us. Thank you so much for these patterns. The minute I saw them I knew this was my new project. I have made many bed size hand applique quilts and it's my favorite quilting. My father has passed away but many years ago he built my mom a kitchen with tiles just like these mostly in red. I am going to make mine the same way. He feels closer that way. Both designs are gorgeous, Reeze. I agree with Amanda. If they were 12" tiles they would be easier, but the 9" are doable, too. I love tiles and applique so I will be coming back often. I'm saving the blocks and hope to start them later this year as I finish off other WIPs. Thanks again! I think these are great and want to see more! Ive been working on another quilt where there are hundreds of tiny applique pieces in each 10". 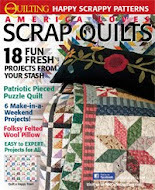 there are plenty of experienced quilters who are kind of sick of the simplified stuff out there, we don't get better unless there is more challenging projects to aim for! Although I do like a 12" block as I am over 50 the eyes like a bit larger pieces, but I like the intricacy. Keep going Reese! These new designs are wonderful Reeze! I am always inspired by your creations. 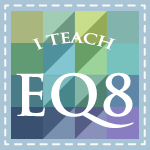 I only hope to become as proficient with EQ as you are! Thanks for sharing!